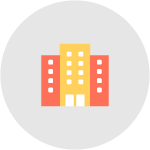 Practice Management provides nationwide revenue cycle services for Federally Qualified Health Centers. We partner with you to seize opportunities and to overcome obstacles. The FQHC revenue cycle continues to evolve rapidly. Practice Management can help keep you on the path to steady and improved cash flow.